Efficient communication and interaction between policy makers, administrative agencies and the scientific community is needed to create a more sustainable society. Only through a network of these different actors is it possible to identify needs and potential solutions. The European environment information and observation network (Eionet) aims to fulfil this purpose. By coordinating Eionet, the European Environment Agency (EEA) maintains a unique setting for the timely collection of nationally validated, high-quality environmental data from individual countries as well as information and expertise in order to better assess the state of the environment and society in Europe. This information serves to support environmental management processes, environmental policy-making and assessment, and public participation at national, European, and global levels. Since 2009 the CSCP has been supporting the EEA in its capacity building, exchange of good practices, and peer learning among individuals and institutions of the 33 Eionet member and six cooperating countries firstly through the European Topic Centre on Sustainable Consumption and Production (ETC/SCP), and from 2014 onwards via the European Topic Centre on Waste and Materials in a Green Economy (ETC/WMGE). The ETC’s main objective is threefold: first it aims to inform decision-makers and the public by presenting reliable and comparable data and information on waste management and prevention, sectoral integration and green economy, material resource efficiency, production & consumption systems, and the transition to a circular economy in Europe; secondly to improve the transfer of information and cooperation among key different stakeholders; and thirdly to further strengthen the interlinkages towards policy areas such as climate change, biodiversity, and resource protection. The ETC supports a variety of activities in these key areas, such as the development of waste models, economic analysis of sectoral integration, green financing, and the analytical assessment of the performance of production and consumption systems. Furthermore, due to the increasing importance of reach-out, capacity building, and effective exchange of knowledge within Eionet and beyond, the CSCP in particular, in collaboration with the EEA and the other consortium partners, organises annual workshops, webinars, and conferences for the European EIONET environmental research affiliates on all the above mentioned topics. The objective is to strengthen the exchange of knowledge and information and to identify hotspots allowing for the development of recommendations on mechanisms to support the evolution of interactive cooperation models for diverse stakeholder groups. Eionet is a partnership network of the European Environment Agency (EEA) and its member and cooperating countries. It consists of the EEA itself and six European Topic Centres (ETCs) as well as of around 1000 experts from 39 countries in over 350 national environment agencies and other bodies dealing with environmental information (i.e. National Focal Points (NFPs) and the National Reference Centres (NRCs)). 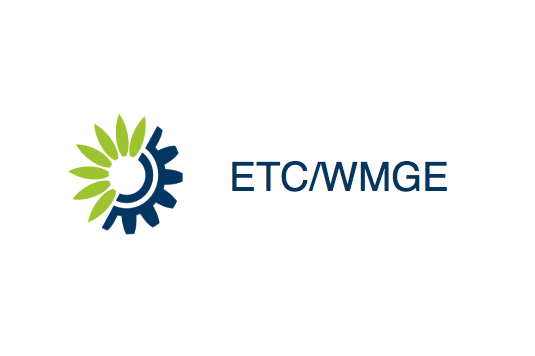 The European Topic Centre on Waste and Materials in a Green Economy (ETC/WMGE) is a consortium of nine specialist partner organisations drawn from environmental authorities and research communities in Europe working on behalf of the EEA. The ETC/WMGE is one of the six European Environment Agency Topic Centres.